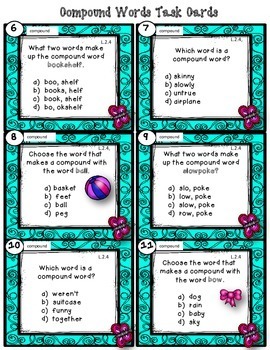 This set of 40 task cards allows your kiddos to practice compound word recognition in a fun and interactive manner. Wow! 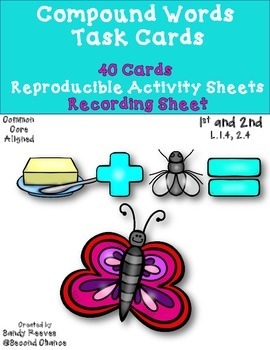 40 task cards for $1!!! 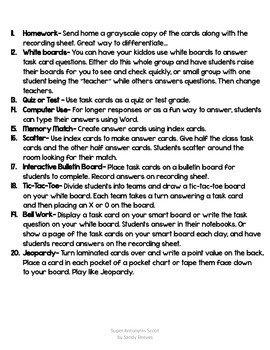 * A list of 20 exciting ways to use task cards! 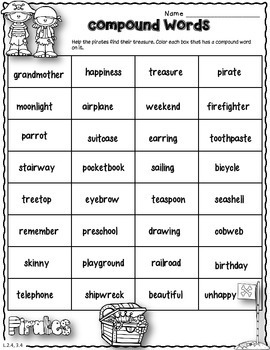 These look lovely in color, but print well in grayscale.